What does “training” mean to you? For contemporary runners, “training” has a narrow meaning. Query a runner, and you’ll hear about weekly mileage, long runs, track work. The media is full of training tips, like exercises to strengthen your hips or advice on how to swing your arms. Researchers study how training effects aerobic capacity and running economy. It’s all about speed and distance. Could there be more to training than this? 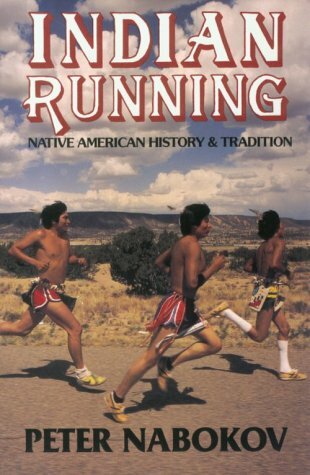 That’s what I was wondering when one day I started reading about the Yurok Indians, for whom training (“hohkep”) involves not only running, but also battling the elements, overcoming fear, sweating, fasting, thirsting, going without sleep, and ultimately venturing into the wilderness in search of spiritual powers. For the Yuroks, training is meant not only to strengthen the body, but also to clarify thinking and focus the will. It’s a path to self-discipline, self-reliance, and the realization of life’s purpose. Now I wanted to know, what could we learn from them?